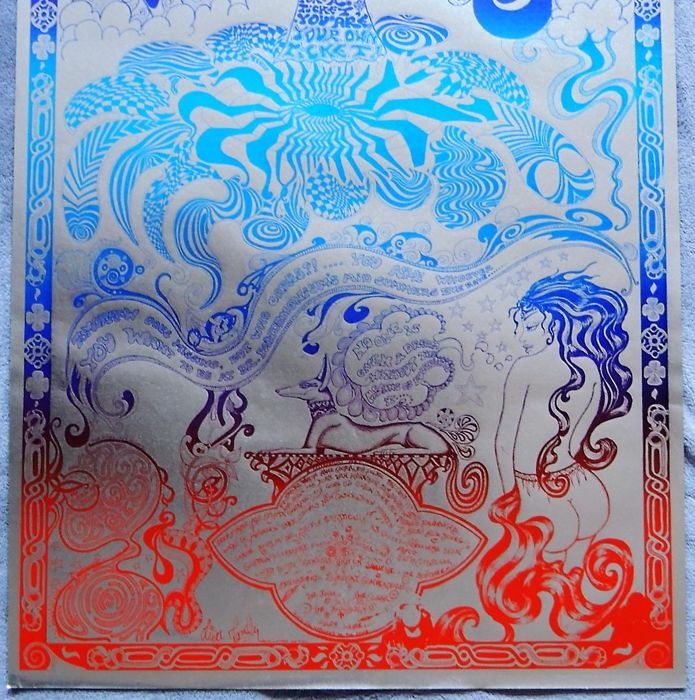 This original psychedelic poster was published in the 80's by a local Headshop in London. It is a great one on metalic foil. 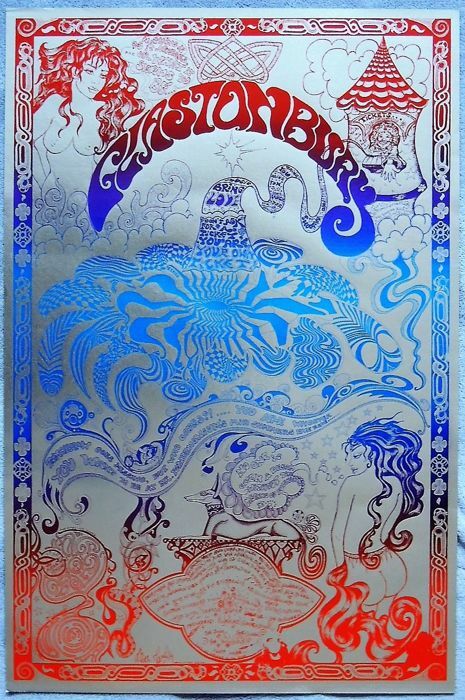 A very nice Psychedelic designed anniversary silver foil poster listing various bands/acts who have played at this legendary festival. 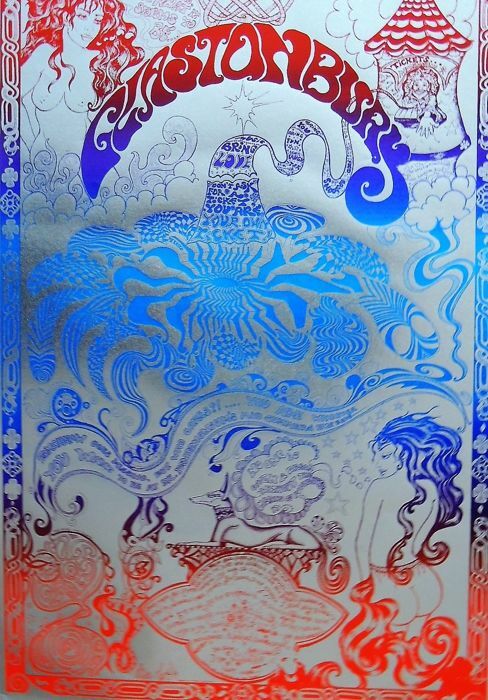 Regarded as a major event in British culture, the festival is inspired by the ethos of the hippie, counterculture, and free festival movements. Glastonbury Festival was held intermittently from 1970 until 1981 and the rest was history. Posters measures approx: 25 inch x 17 inch ( 63 cm x 43 cm ) and was printed on thin silver foil/thin paper. 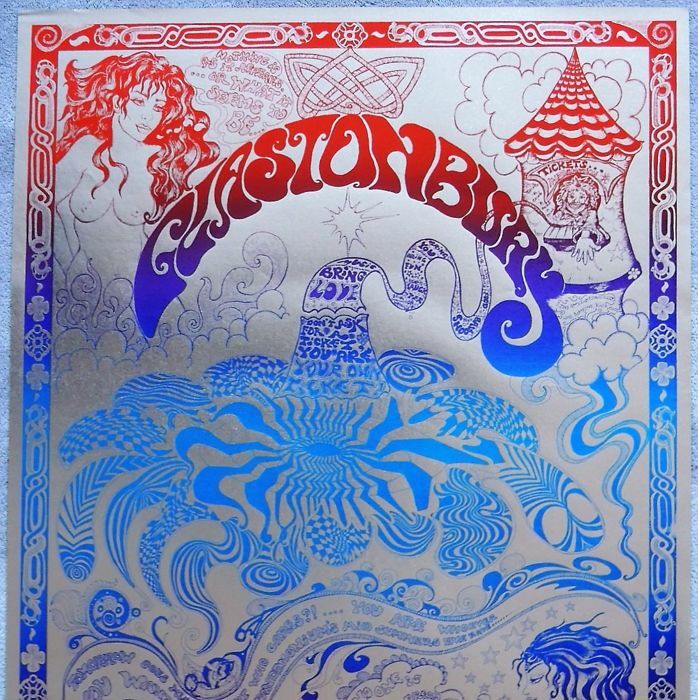 A nice and must have poster for any psychedelic Poster Collection.